Until September 2016 Luc Soete (15 September 1950, Brussels) was Rector Magnificus of Maastricht University. Before that he was Director of the United Nations University research and training institute: UNU-MERIT located in Maastricht, The Netherlands and Professor of International Economic Relations and Director-Dean of the Maastricht Graduate School of Governance (MGSoG) at Maastricht University. He is a member of the Advisory Council for Science and Technology Policy (AWT) and the Royal Dutch Academy of Science (KNAW). Luc Soete graduated in economics from Ghent University, Belgium. 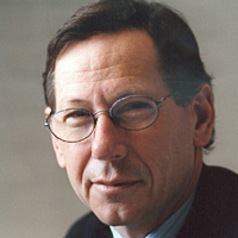 He obtained a DPhil in economics from Sussex University where he worked as senior research fellow at the Science Policy Research Unit in the late 70’s and 80’s. From 1984 till 1985 he was visiting associate professor at the Department of Economics at Stanford University, USA. In 1986 he joined the new Faculty of Economics and Business Administration (now called the School of Business and Economics) at Maastricht University as professor of International Economics Relations. In 1988 he set up the research institute MERIT (Maastricht Economic Research centre on Innovation and Technology) which merged under his direction in 2005 with UNU-INTECH to become UNU-MERIT. In 2010 he became Director-Dean of the Maastricht Graduate School of Governance of Maastricht University. He is a member of the Board of the Maastricht School of Management (MSM) and the Belgian media company Concentra. Over the last 30 years, Luc Soete has contributed as (co-)author and (co-)editor to some 11 books, 50 refereed articles and some 100 chapters in books. In 2002, he received the MSM Honorary Fellow Award, in 2007 the Belgian reward Commandeur in de Kroonorde and in 2010 a Doctor Honoris Causa from his Alma Mater, the University of Ghent.